The word Rajasthan can be divided into two parts where the first part “Raja” means king and “than” means land. Rajasthan is another term for the land of Kings. The land has a huge heritage where each ruler has contributed to the making and development of this place. This place is famous for the hospitality and exotic food. The Rajputana culture is known for their valor and fighting skills. India’s most top rated tourism destination can be provided in the Rajasthan Luxury train. When the word Rajasthan etches in the mind an image of the desert with the camel ride comes into the picture. However, one could cover a large amount of area through Rajasthan Royal train. One can see the royal fort and palaces of Jodhpur, Udaipur, Maharaja Sawai palace, Chittorgarh, Jaipur and lot more. The luxurious train invites the travelers to spend a sum of their moments into the romance of these magnificent places. Indian Railways have undergone a vast amount of development when it comes to tourism. Due to the collaboration with Rajasthan Tourism board, the Indian Railways have given birth to two exorbitant luxury trains which are Royal Rajasthan on wheels and Palace on Wheels. Royal Rajasthan on wheels can take one to the heart of the Rajasthan where one could witness an epic beauty Bourne out wild and hot landscapes. Tasty meals and classical style of service by the train’s staff could make one feel like a king or queen for the moment. One can make rejoice and feel delighted with top rated wines in the stylish and mind blogging interiors. 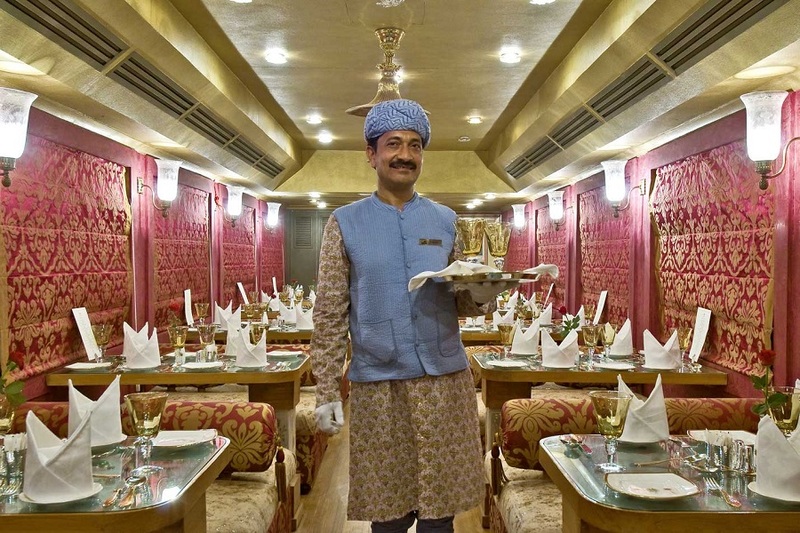 Palace on Wheels is often considered as the pride of state of Rajasthan as well as the country as a whole. This train provides an ultimate solution for a small and smooth wheel journey into the royal land of the state. Blessed with all sorts of luxuries, unique and unparalleled splendor, this train has bagged its position among the top 10 luxury trains in the world.